... the sweet taste of freedom in an American Dream, doesn't find Czech enticing, dallies in Denmark, and then settles down with a Scottish Vagabond. What on earth are you on about now Ted? Well since you asked (yes you did I heard you) I am talking about “gluten free” beer. Until relatively recently if you were one of the (surprisingly) large number of people who are gluten intolerant or celiac your “decent” beer choices were limited to err umm … wine. The reason being that the traditional ingredients in beer are water, brewer’s yeast, hops and a form of starch, and that's where the trouble starts as starch sources like malted barley or wheat are rich in gluten. I say “decent” beer in the “acceptable standard” sense of the word as of course there were early versions of gluten free beers around but they were, let’s face it, disappointing at best and disgusting at worst (much like alcohol free wine come to that). Well it’s all changing now as some of the quality brewers of the boutique and craft beer movements around the globe are getting themselves into the game and brewing with starch sources that are very low or free of gluten like millet, rice, sorghum (a grain producing member of the grass family) buckwheat, and corn, and they are getting some pretty damn drinkable results. To prove the point, to ourselves mostly, I set out with my GF consultant who shall remain nameless (Gill) and her equally anonymous non-GF beer appreciating hubby (David) on a mini tasteathon. 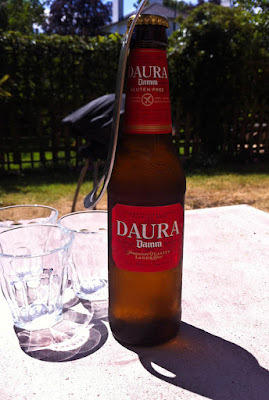 We started off nicely with a summer everyday “go to” light bubbly thirst quenching lager, Estrella Damm Daura from Spain. 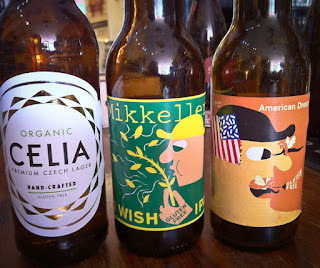 Then we wandered down the road to The Beer Boutique in Putney and tried a trio. Celia a light lager from Czech, a little too light for me and I think the hops tasted sour, maybe needs food to show its best. Next came two very good offerings from Mikkeller. “I Wish” India Pale Ale – citrus aromas and taste with a good hop kick and a satisfying mouth-feel. “American Dream” lager with a nose of sweet malt, corn, citrus, caramel and clove, throw in honey on the palate and a long finish and there you have it. Might have to try these, skål! That's a fine looking array of beers. They are advertising gluten free vodka over here so why not beer too! 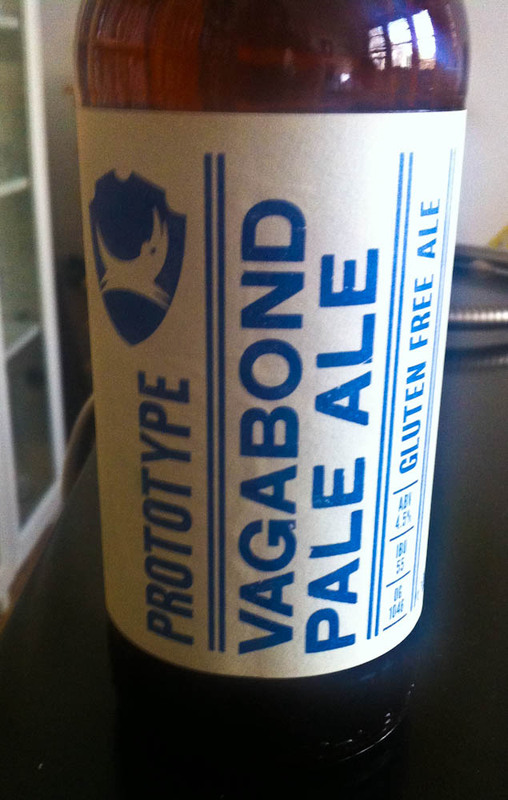 I will have to look out for the vagabond, I really miss a good drop of beer since becoming intolerant to gluten. I guess this is a trend that was bound to develop. I'm completely out of my depth on this one!